Galileo Gold bids to continue his fantastic season in the Qatar Sussex Stakes at Glorious Goodwood, the feature of the five day festival of racing. 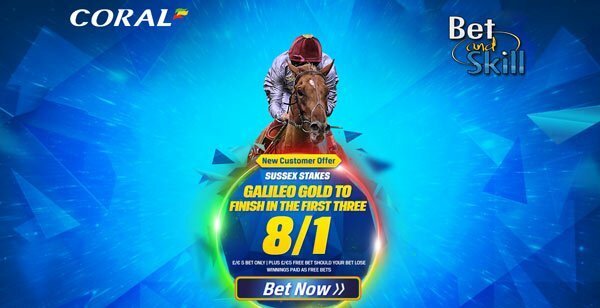 If you are backing Galileo Gold to win there is a MASSIVE profit to be made with the following odds enhancements and betting promotions! 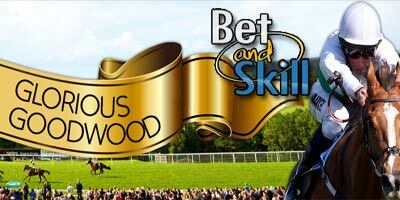 Find here how to put a HUGE £325 net profit in your pocket! Winner of the 2000 Guineas at Newmarket, Galileo Gold was runner-up spot to Awtaad when chasing a Classic double in the Irish Guineas, but had his revenge in the St James’s Palace Stakes at Royal Ascot. Fancy Galileo Gold to land in the Sussex Stakes on Wednesday? You can make a £335 net profit investing only £40, with a £20 money back if Galileo Gold don't win the Sussex Stakes! Basically, you are getting a huge value bet on Galileo Gold to win the race - around 15/1 instead of a standard odds of 2/1! "How to make a £325 net profit if Galileo Gold wins the Sussex Stakes at Goodwood (investing only £20) "